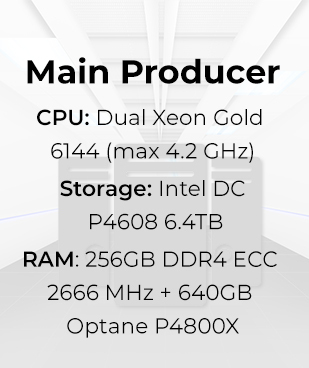 EOS Rio technical architecture combines redundant bare metal high performance servers collocated in tier 1 datacenters with low latency network access for secure, robust and scalable block production, and virtualized cloud infrastructure to provide high availability API and full nodes for the EOS community to connect to. A hybrid approach between bare metal and cloud. 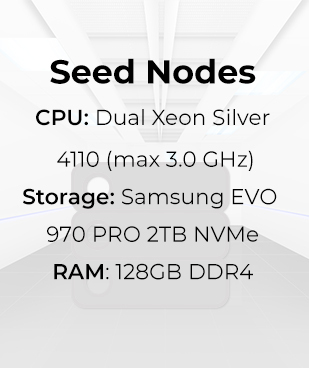 Our producer nodes are bare metal servers owned by us. On the cloud, you can’t obtain the maximum performance for the CPU. 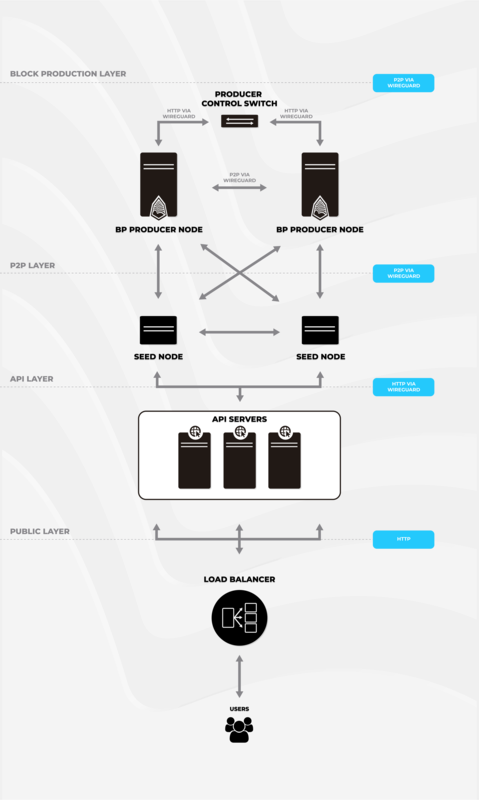 Thus, running producers’ nodes on bare metal machines allow us to maximum transactions throughput on EOS. Also, the producer contains sensitive data of the producer node, so having our producer close to us can evict censorship in the future. We have several backups, and we always have redundancy in all aspects of the infrastructure design, never leaving a single point of failure. Our cloud servers are non-producer machines – they are light nodes on multiple cloud AZs to provide access to developers and users around the world, most focused on providing an access point to Latin America, but also on other countries, depending on the need of geo-distribution of the network.